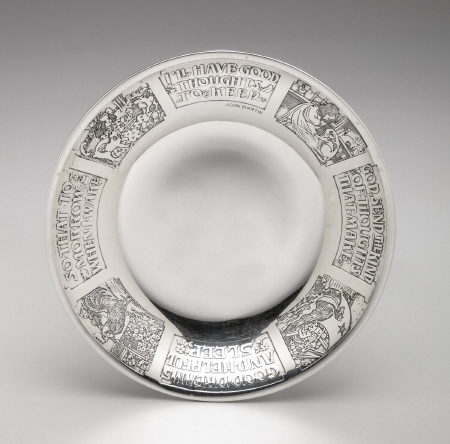 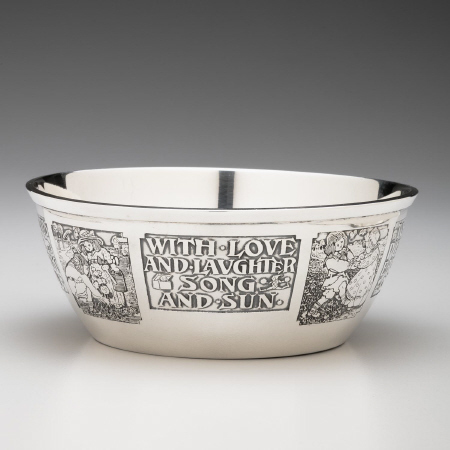 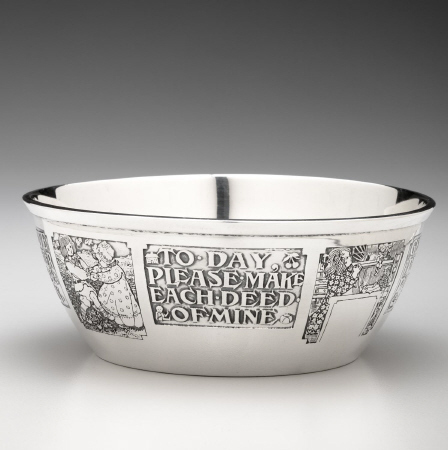 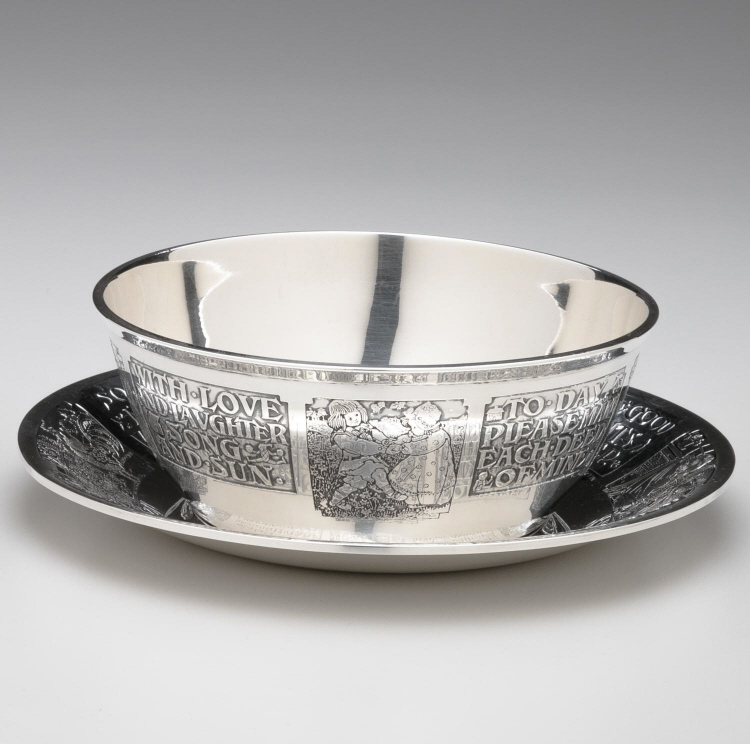 A sterling silver baby / child cereal bowl and plate by William B. Kerr & Co. of Newark, NJ. 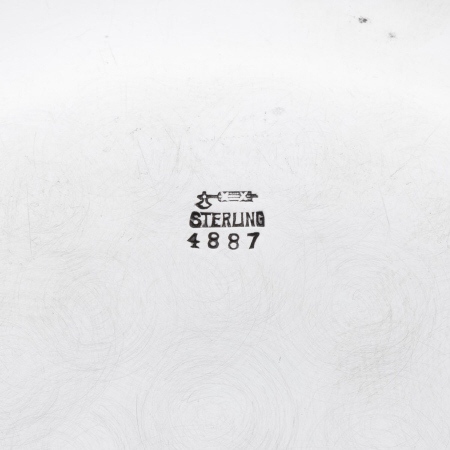 William Kerr & Thiery was founded in 1855 by William B. Kerr. 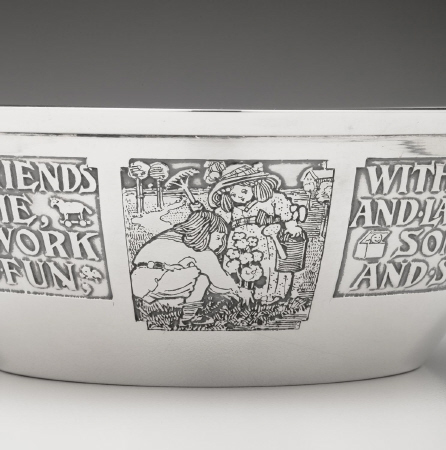 It later became William B. Kerr & Co. which was sold to Gorham in 1905.